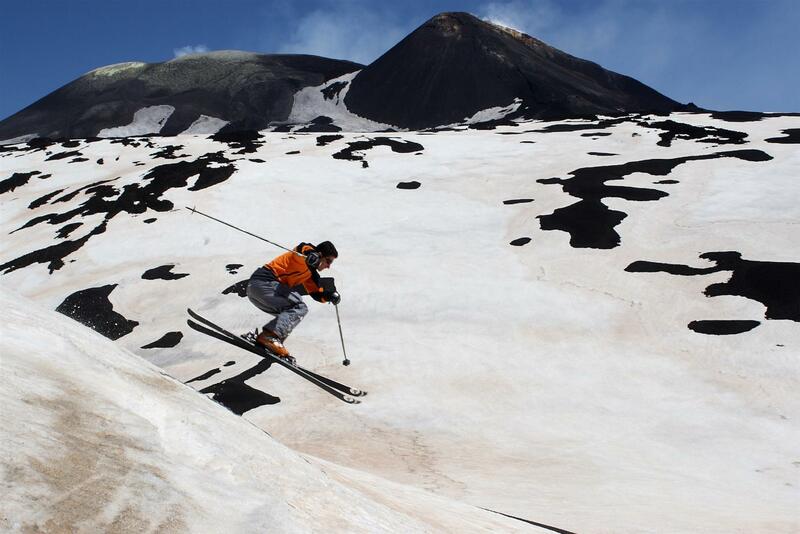 The ski resort of Mount Etna Sud has 5 plants (1 gondola, 1 chair lifts, 3 ski lifts, 21 km of pistes (3 red, 2 blue). Quote skiing mt Etna South from 1934 to 2608 (check Etna Sci information page for updated information). 2013 day pass costs € 28.00. For nordic skiing lovers Piano Vetore (2.7 km from the Hotel Corsaro) has two loops for skating and classic for a total of 10km of slopes. The first track (low difficulty) near the road is where you find the changing rooms, the service box and the ski school with equipment rental for cross country skiing. 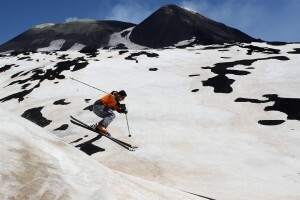 The volcanic area lends itself greatly to these emerging disciplines, in a great expansion also on Mount Etna which has recently been included in the circuit of alpine skiing World Cup. The off-piste skiing, with or without the help of the skins, makes it possible to make dozens and dozens of slopes and gullies can not be reached from the ski, well snow-covered until May. Essential use of mountain guides or instructors of the place that accompany skiers to the summit craters and most unexplored areas of the volcano then descending into gullies facing the most exciting and accessible.